The Win Coll Soc News page is updated regularly. If you would like to contribute, please contact us. We are very sad to announce the death of Sir Jeremy Morse (K,1942-46), Fellow (1967-83), Warden (1987-97). Details of memorial services will be announced in due course. The first is the Classic FM Carol Service, which was recorded in the College Chapel with Chapel Choir, the Royal College of Music Chamber Orchestra and readers from the school. Sunday 20th December - Charlotte Green Show on Classic FM at 3pm (presented by Lucy Coward). Friday 25th December - 3.05pm, directly after Her Majesty the Queen's Christmas Broadcast on Classic FM. Do also tune in to BBC Radio 4 Sunday Worship at 8.10am on Sunday 3rd January to hear the Quiristers singing Benjamin Britten’s A Ceremony of Carols. Cantores Episcopi are very proud to present their latest CD, ‘Steal Away Home: Folksongs and Spirituals’. Recorded in July 2015, in the beautiful acoustics of the College Chapel, this latest CD offers a wonderful mix of sumptuous harmonies, syncopated rhythms and entertaining tales to provide a CD celebrating the folksong and spiritual tradition. Here is a sneak preview of a track from the disc, taken during the recording session. The CD is available from Cornflowers from Friday 4 December. The cost of the disc will be £10. Telephone +44 (0)1962 621234. The Winchester eight-oar crew traveled to Philadelphia in October to compete in the Head of the Schuylkill regatta and rowed to a very impressive second place finish out of 62 crews in the high school division. Read more. Winchester College Society has now moved to new premises at 73 Kingsgate Street. Please do come and visit us. Died peacefully at home on 28 September, aged 78. A Service of Thanksgiving will be held at Tewkesbury Abbey on 22 October at 2 pm. For many years, Robert was instrumental in the running of the Crown and Manor Boys' Club in Hoxton, London. Great Britain's men's eight got the better of Olympic champions Germany in the final of the Grand Challenge Cup at Henley Royal Regatta. 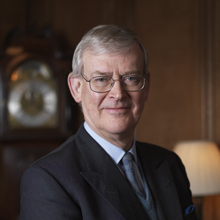 The Warden and Fellows are pleased to announce that Dr Timothy Hands, currently Master of Magdalen College School, Oxford, has been appointed Headmaster of the School on the retirement of Dr Ralph Townsend from September 2016. Congratulations to Christian Portz (H, 2005 -10) who has recently become the new World Doubles Champion at Queens, with his rackets partner Alex Titchener-Barrett. Read about their success here. We hope you enjoy reading this year's Wykeham Journal. As before, this contains annual reports from the Warden, the Headmaster, the Bursar and the Chairman of the Investment Committee as well as lists of donors. This year, we are most grateful to Dominic Selwood (E, 1984-87), our Guest Editor, for his five articles on the theme of Vindicating Wykeham's Extraordinary Vision. The family of HM Cairns-Terry (B, 1931-36) have very kindly donated a box of Wiccamical memorabilia to the Archives, including a length of pre-WW2 cine film recording cricket, soccer, rowing and a Corps march past. This has been edited with the background of the Symphony in G by George Dyson, Master of Music at the time. View here. To celebrate its complete refurbishment over the last year, New Hall, displayed in all its new-found glory, was formally opened by Mrs Lindsay Fox, Vice-Lord Lieutenant of Hampshire, on Sunday 19 January. Read more. Gen Sir Nick Carter KCB CBE DSO (H, 1972-76), Chief of the General Staff, took the Salute at the Great War Commemorative Parade in Meads on Sunday 19 October 2014. The Winchester College at War Exhibition was held in Musā from September 13 to October 20 and formed part of the School's commemorations of the centenary of the Great War. Read more. Rishi Sunak (H, 1993-98) appointed the new Conservative candidate for Richmond. Read more. Dominic Scriven (D, 1977-81) receives the Labour Order (third class) from the state president for its contributions to Vietnam’s capital market. Read more. The House of Commons Select Committee on Defence was presented with a Wykehamist double act on 24th June, when Edward Lucas (A, 76-80) and Keir Simpson-Giles (K, 81-86) gave evidence together on the Russian annexation of Crimea and intervention in Ukraine. Their comments were used to bolster strongly-worded recommendations for dealing with Russia in the Committee's report, available here. The 2014 Telephone Campaign took place in Wellington House, from July 14 – 4 August, and was our most successful to date. In total £330,000 was raised, in support of the Annual Fund, with a further £75,000 pledged still to be received. Read more. Simon Henderson (I, 1989-94) appointed as Headmaster of Eton College Read more. Dig Deep, is a charity, determined to provide Kenya with access to clean water, sanitation and renewable energy. For further information please go to Pranay's fundraising page here. Nelson Woodworker David Haig never knew what he wanted to be until he first put chisel to timber and discovered his life came together in a way he could not have imagined. As part of the commemorations to mark the centenary of the outbreak of the Great War, Winchester College has launched a new website. This unique resource provides on line access to the School’s Roll of Honour. 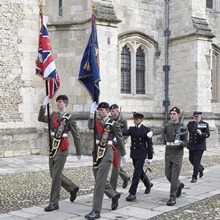 Assembled from school records, regimental histories and the diligent research of a previous member of staff, the site provides a brief biography of every member of the school community who perished during the conflict. This year's telephone campaign will be running from 12 July to 3 August. For the first time, parents and past parents will also be contacted. Nicholas Ferguson (C, 1961-66), Chairman of BSkyB is this year's Campaign Champion and will provide a professional reference to all successful callers. OW undergraduates and men from V1Bk1 are now invited to apply for one of the 14 caller positions. For more information please contact Tamara Templer, Deputy Director of Development. Lt. Gen. Sir Nicholas Carter KCB CBE DSO (H, 1972-76) has been appointed the new Chief of the General Staff (CGS) in September, when he will succeed General Sir Peter Wall. Sir Nick is currently Commander Land Forces. He was commissioned into the Royal Green Jackets in 1978 and commanded 2 RGJ from 1998 to 2000 with whom he undertook two operational tours in Bosnia and Kosovo. He also completed three tours of Afghanistan in quick succession, the final one as the Deputy Commander of ISAF. The last OW appointed to be the professional head of the British Army was Field Marshal Lord Carver (G, 1928-33), who was CGS from 1971 to 1973, before becoming Chief of Defence Staff (1973-76).